Expect the unexpected. Be prepared. These standard nuggets of advice may sound boring to the great world traveller you’re aspiring to be, or the one you’re attempting to foster in your children. But the truth is risk management is all about savvy planning and saving money in the long run, especially when you’re travelling far away from home. Obtaining travel insurance equals travelling smart – hedging your bets against the potential for something to go wrong, and that even if it does, you and your family are protected. 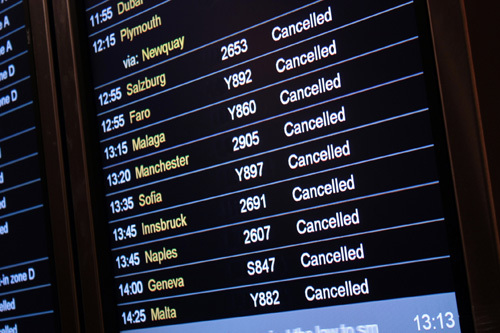 Everyone can recite a scary travel story of relatives or friends that have had to cancel travel plans, lost their luggage, or had unscheduled medical ‘holidays’ in the ER. These are cautionary tales of bad things that happen to good people, which can happen anytime, anywhere. The takeaway from hearing these tales is to ensure that you do your pre-trip homework. Purchasing travel insurance before you depart on a road trip or plane rideabroad should be part of your travel “to do” checklist. It should be right up there with getting a yellow fever shot and malaria pills for your trip to Machu Picchu, or ensuring you’ve packed enough clean socks. The reasons are simple, and best of all, they’re in your own best interest. Insurance protects you and the ones you love if something unexpected happens. We experienced the unexpected when our youngest child received a third-degree burn from a flying campfire ember on a trip in the BC Interior. We had just embarked on a three-week long camping road trip to Drumheller, Alberta, and were three days into our vacation. Our son was only four at the time, and seeing him in such pain was one of the scariest moments Iʼve ever had as a mother. We didnʼt know whether weʼd even be able to continue on our holiday, but that was the last thing on our minds when faced with this emergency. We drove him to the nearest hospital where he was dealt with quickly and with no big financial burden, since we were in BC, our home province. Thankfully, he didn’t need an ambulance and we only needed to pay out-of-pocket for the medication. Had we been in Alberta (our final destination) and needed medication and an ambulance, travel insurance would have covered it. Had we been in the United States or abroad, travel insurance would have covered most of the cost. Our provincial health insurance plan covers less than 10% of the total medical cost.. For a third-degree burn like this, the medical cost would have been in the thousands. Not the type of fun holiday expenditure anyone would wish for. We had thought we were prepared for anything, but our sonʼs accident made us realize that we needed a solid plan for any future trip, no matter the destination. We learned a valuable lesson; Iʼm very happy to report that eight years later, my sonʼs scar is barely noticeable and he doesnʼt remember much about that traumatic event at all. Don’t take a chance on being unprepared, for your children’s sake or your own. After all, planning for your next great family adventure is much more exciting than paying the bills from your last trip’s misadventures. If you need more information or have any questions, please email blog@tugo.com or tweet at @tugoinsurance.